The Family Connection is a subsidiary organization of the well-known Head Start located here in Southern Oregon. 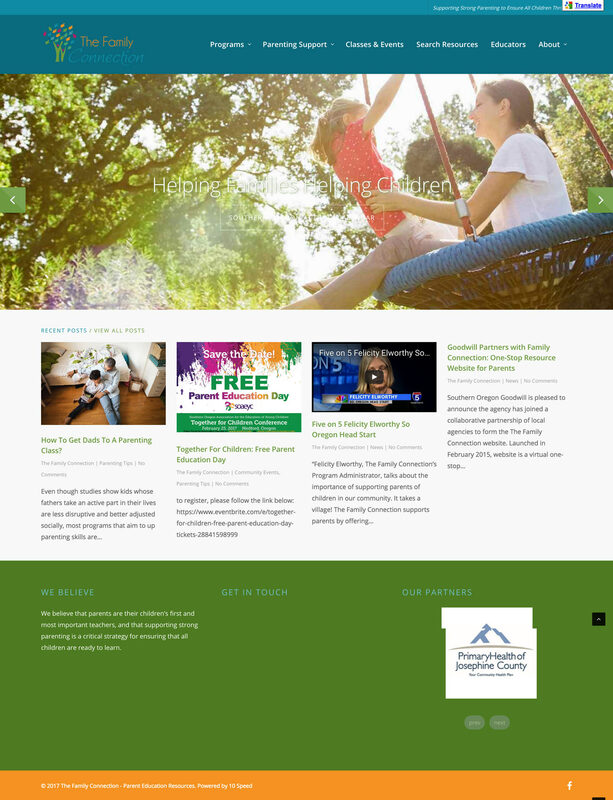 The Family Connection came to me requesting a complete site redesign. Their previous site suffered from extreme information-overload and a lack of creativity. While it provided many resources, it also overwhelmed and frustrated users. The new design focuses on allowing a simple and enjoyable experience. This is done with simple navigation, condensed content, and a lot of lifestyle imagery. Take a look at what their site looked like before! Simply put, the clients are ecstatic and more proud than ever to finally be able to give out their web address! We felt like we had struck gold! We were incredibly impressed with the professionalism, attention for detail, and communication skills. We could not be happier.